I could easily devote every post to writing about weight loss supplements, and never run out of topics. As soon as one quick fix falls out of favour, another inevitably replaces it. Some wax and wane in popularity. And pharmacies don’t help the situation. I cringe every time I walk down the aisle where weight loss products and kits are located. Detox? Hoodia? The “fat blaster”? Here are pharmacists, well educated and perfectly positioned to provide good advice to consumers, but standing behind a wall of boxes with ridiculous weight loss promises. Yet my colleagues tell me that these products are not only sought out by customers, but they actually sell well. It’s a lost opportunity to provide good advice, and consumers pay the price. Perhaps because consumers associate these products with pharmacies, I get regular questions about weight loss programs. I end up developing some degree of familiarity with many of them, if only to be able to credibly redirect away from some of the more harmful plans and approaches. It’s that philosophy that I used recently when I was asked about how to best to manage a “plateau” on the HCG diet. I’d never dispensed human chorionic gonadotropin (HCG) before, but knew of its use for the treatment of infertility, where it promotes egg release. But weight loss? I couldn’t think of a mechanism for how HCG could promote weight loss. 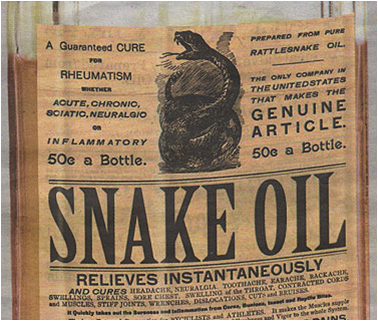 So I did some digging, and found a long, rich vein of pseudoscience that dates back decades. HCG is a hormone secreted by the placenta during pregnancy. Its use as a weight loss adjunct has roots that date back to the 1950s, when Italian physican ATW Simeons announced [PDF] case studies of weight loss in patients given HCG injection and placed on very low calorie diets — about 500 kcal/day. Simeons’ data failed to be replicated in later studies, and interest seemed to deservedly fade. The diet leapt back into consciousness when telemarketer and convicted felon Kevin Trudeau started promoting the diet again in 2007, claiming the TRUTH had been suppressed by the American Medical Association and the FDA. Since then, HCG (also called the Simeons method) has been on a bit of tear, and it’s currently enjoying a resurgence of popularity. Numerous clinical trials have shown HCG to be ineffectual in producing weight loss. HCG injections can induce a slight increase in muscle mass in androgen-deficient males. The diet used in the Simeons method provides a lower protein intake than is advisable in view of current knowledge and practice. There are few medical literature reports favorable to the Simeons method; the overwhelming majority of medical reports are critical of it. Physicians employing either the HCG or the diet recommended by Simeons may expose themselves to criticism from other physicians, from insurers, or from government bodies. So does the HCG Diet Work? Any weight loss from the HCG diet is actually due to the dramatic calorie restriction required as part of the diet plans — in some cases, as low as 500 calories per day. This near-starvation diet is dramatically below appropriate levels for weight loss or maintenance, and escalates the risk of malnutrition if prolonged. Even if it wasn’t immediately harmful, a 500kcal diet is simply unsustainable. Weight maintenance is the real challenge with obesity. HCG injections are not innocuous. It may be teratogenic (cause birth defects) in pregnant women. Reported side effects include headache, fatigue, irritability, restlessness, ovarian overstimulation, ascites, and edema. We recognize that a number of pages on your website contain a disclaimer stating that the products are not intended to diagnose, treat, cure, or prevent any disease. However, notwithstanding this disclaimer, the claims made on your website for “HCG Fusion 30” and “HCG Fusion 43” clearly demonstrate that these products are drugs as defined by section 201(g)(1) of the Act [21 U.S.C. § 321(g)(1)], because they are intended to affect the structure or any function of the body. HCG (Human Chorionic Gonadotrophin) is authorized in Canada only for treatment of women with infertility, and only in an injectable form. There is no scientific evidence that the use of HCG either by mouth (as drops under the tongue, as advertised on the Internet) or as a self-administered injection, could promote weight loss. NCIM honors the intent of Health Canada’s statement, which is protective in nature. Health Canada’s statement does not address the more substantive issue, which is the significant risk of not taking action to reduce your weight and risking future illness. The NCIM HCG Rx+ weight loss intervention cannot make any guarantees, it nevertheless provides a time-tested approach to weight loss that is physician supervised and individually monitored for safety and effectiveness. And NCIM doesn’t honour the intent of the statement at all. It notes that the prescription it provides for HCG injections may be covered by private drug insurance. If Health Canada is actually cracking down on HCG, it isn’t doing a very effective job. There’s no persuasive evidence that HCG injections has any meaningful effects on weight loss. And “homeopathic” HCG is quite literally, nothing. If the HCG diet shows one thing at all, it’s the tenacity of an idea once it’s been planted. Despite warnings by researchers, health professionals, and regulators since at least 1976 about the lack of evidence for HCG as a weight loss adjunct, it continues to attract attention and new users, now promoted by naturopaths and television personalities that are indifferent to the evidence. It’s gratifying to see a regulator (the FDA in this case) take off the gloves with supplement vendors and other purveyors of HCG pseudoscience. When it comes to weight loss there are no quick fixes. ATW Simeons Diet, ATW Simeons Method, Dieta HCG, Human Chorionic Gonadotropin Diet, Low Calorie Diet (LCD), Méthode Simeons, Protocole de HCG, Protocole Simeons, Régime HCG, Régime Pauvre en Calories, Régime Très Faible en Calories, Régime Très Hypocalorique, Simeons Diet, Simeons Method, Simeons Protocol, Very Low Calorie Diet (VLCD). ← Do pharmacy regulators “get” homeopathy? I’m curious to hear what everyone’s opinion is on giving JUST the HCG injection to a woman of child-bearing age that is taking oral contraceptives? Obviously no weight loss will occur here (due to the HCG injection) but because of the risk of ovarian hyperstimulation are we risk of seeing a failure of OC? After my early adult years and consuming food and drugs (specifically Depo Provera) approved by the FDA and Health Canada, I had an abnormal amount of abdominal fat. I have spent thousands of dollars and spent years (almost a decade) eating a healthful balanced diet, and exercising. Because really, this is the traditional “prescription” for weight loss. Nothing would make this fat go away and stay away. The moment I increased my calories, or stopped exercising DAILY, my fat came back. Obesity in Canada is now being called an “epidemic” as 1/5 Canadian adults are obese, 2/5 are overweight and 2/5 are a healthy weight. 1/4 Canadian children are classified as being “obese”. Do you have a solution for this epidemic? Most people are so addicted to sugar and carbs they can’t stick with a “diet and exercise” program long enough to see any substantial weight loss. In a moment of desperation, I came across a quality manufactured vibrational HCG product. I did my research and figured there was nothing to lose – but FAT. The health risks of my 40lbs of abdominal fat was much higher than any risks that could have come with doing this diet (using a quality product). I released 30lbs of fat from my body and 34.5″ in 39 days. My body hasn’t looked like this since high school and I have never felt better. You should do your research. Millions of people are finally releasing their abnormal, unhealthy fat cells. There is no other diet plan that does this. Fat cells have memory and just shrink up on any other diet. Health Canada has an approved HCG product in the Natural Health Products Database. This isn’t the product I used, if Health Canada gives it the thumbs up, then there must be some validation to the diet. The retailer of this product is GNC. I phoned my local GNC here in Red Deer, Alberta and they confirmed they have X-30c on their shelves. Here’s a link to check out the Health Canada site for yourself. It’s medical, health and fitness professionals that are the biggest critics of the various forms of HCG. The ones that have done it themselves are the ones promoting it. HCG will solve the obesity epidemic, worldwide. Look at the stats in Japan, as they become “Americanized” and obese. Hate to break this to you, but the product you link to isn’t what you think it is. The product X-30C by HCG Platinum is listed in the NHPD database as a homeopathic medicine. It does not contain HCG at all (nor does it contain any phantom vibrations of HCG). Looking at the manufacturer’s website here: http://www.hcgplatinum.com/store/hcg-platinum-x30-plus would indicate that the product they are promoting in the U.S. as “HCG Platinum X30 Plus” has an entirerly different set of ingredients as the one listed in the database. It doesn’t contain HCG either. It seems that the X-30C product being sold in your local GNC is the homeopathic product. It also seems that the manufacturer is comfortable with promoting two entirely different products with nearly the same name and same claims, all while using the term “HCG” in a misleading way. This is obviously successful, since they were able to convince you that the product they are selling actually has HCG in it. In case it isn’t clear, Health Canada has NOT approved any natural health product with HCG (either real or imagined, i.e. homeopathic, vibrational, radionic). Health Canada has NOT validated the diet in any way. But, of course, all of this would have been stunningly clear to you, had you taken 5 minutes to “do your research”. if Health Canada gives it the thumbs up, then there must be some validation to the diet. Unfortunately, no. While pharmaceutical (and biologic) drug review is pretty thorough, the review of natural health products (as Scott has commented on in the past) is distressingly bad, with standards of evidence that accept traditional use, or “expert opinion reports” rather than solid clinical evidence. Health Canada approval of a NHP is by itself rather meaningless, thanks to the watered-down evidence requirements. While some NHPs may indeed live up to their claims, there is no guarantee that a claim can be trusted. I work as an office manager for a MD who prescribes HCG for weight loss (the real injectable hormone from a compounding pharmacy). I am opposed to its use. I have, however, seen the patients lose weight on the program, but I am not sure if that is attributable to the HCG or the diet change and severe calorie restriction. Their labs also show improvement. I have a couple major objections to the program, and I appreciate your well-written piece. Hopefully it will deter people from choosing the quick fix for weight loss. While the patients do lose weight on HCG, I have almost never seen it maintained. I think the weight loss is too quick for maintenance, and mostly, I think it is because they know they have a quick fix whenever they need it. Most patients repeat the program, saying “oh, I just started eating poorly again” when asked why they think they re-gained the weight. I also agree with you about the malnutrition that must be present when someone is only eating 500 calories a day. There is also a lot of danger for electrolyte imbalance when doing the program and I definitely don’t think it should ever be done without a doctor’s supervision. And, finally, the orthorexia that people can develop while doing HCG is frightening. Patients will call and ask if “beets are okay” and other nonsense! I think HCG is just adding to a dysfunction relationship with food. I could go on and on, but mainly wanted to say thank you for your article and I agree! The HCG doesn’t aid in weight loss, and from what I understand, it doesn’t claim to. The HCG helps the body use its fat stores. If you take a closer look at those studies, you’ll find that the number of people who stuck to the diet in the double blind studies was remarkably higher among HCG users than Placebo users. The conclusion: Everyone will lose weight on a 500 calorie diet. But not everyone can stick to that diet without HCG. Except it doesn’t. Read the studies and look at the endpoints measured. HCG has no effect. I did read the studies. Few include this detail in their written summaries of methodology, but in those that do, the count of subjects that start and complete the program differ according to their placement in HCG and placebo groups. The data to answer this question aren’t included because these studies evaluate efficacy for weight loss. And those from both groups that make it to the end generally lose about the same weight on the 500 calorie diet. But, and this is huge, the studies removed from their calculations those who dropped out of the study. More importantly, a much higher number of placebo than HCG subjects dropped out. Ask yourself what keeping these subjects in the study would do to the calculation. Undoubtedly, weight loss among the HCG group would be statistically significantly higher. In fairness to the researchers, these studies are designed to examine impact on weight loss, not the extent to which a person can stick to the diet. So I don’t dispute the studies. But the study objectives, hence, conclusions don’t match the intended use of HCG in weight loss. I don’t think a study has yet been completed that sets out to test this, but several of the studies already published do establish, if inadvertently, that HCG improves a subject’s ability to stick to the low calorie program. Belief, even your obviously strong belief, is not science. Take a closer look and ask yourself if there has yet been a study that evaluates HCG’s effectiveness in maintaining a diet protocol. There is more research to be done to establish conclusively that HCG does or does not work in weight loss. If you review the meta-analysis linked above, the number of patients lost to follow-up is noted for each included study. Most trials included had no dropouts in either arm, and there is no clear trend that patients in control arms were more likely to drop out, which would be expected if the drug had this effect. If you are aware of data to show otherwise, please provide the citation. Actually, no. HCG has been studied, if you read the citations I link to. It is demonstrably ineffective at modifying any relevant measure of obesity or weight loss. In my experience, hcg drops did and do work. I have tried many diets, none were satisfactory. This one is ….and I am not hungry. Why is it not studied…except with the converted against? HCG drops worked perfectly for me!